Born in Paris and raised in Martinique, Cédric Maréchal has discovered the rich mix of African, Amerindian, European and Asian cultures that have contributed to the art, music, politics and literature of France. His unique experience has inspired him to approach human rights activism with the goal of promoting inclusive dialogue and respect for different identities. Cédric has witnessed the processes that cause national history books to ignore individuals and entire communities, and he believes that social and cultural inclusion are necessary to prevent such omissions from taking place again. Cédric applied this approach to human rights activism when he worked with a student-led NGO at La Sorbonne dedicated to protecting Touareg children from being excluded from basic social services in health and education in Tiggar, Niger. He helped the NGO provide books, develop a nutrition campaign and support the salaries of professors working with the children. 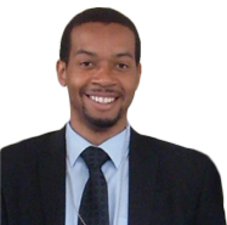 Cédric’s strong interest in policy-oriented activism was refined and strengthened by his Humanity in Action Fellowship (France 2010), which motivated him to explore themes in proactive citizenship. Upon completing his Fellowship, he launched a voter outreach campaign that sought to register youth voters in Paris and its suburbs who were members of groups that had been marginalized or stigmatized because of their ethnic or religious background. In 2011, Cédric was selected to participate as a visiting lecturer as part of a dialogue program called "Exploring Diversity in France," organized by Humanity in Action and sponsored by the Embassy of France in the United States. He spoke at several universities, including Yale, Georgetown and the New School, about the diversity of French society within politics and the media. "I began to see the critical importance of proactive citizenship in moving forward inclusive dialogue and deterring stereotypes," he says. Cédric then completed the Lantos-HIA Congressional Fellowship, where he worked in Washington, DC with the U.S. House Subcommittee on Asia and the Pacific, a subcommittee within the House Foreign Affairs Committee. During his Fellowship, Cédric helped push forward the cases of diverse human rights activists. As he became more familiar with the real impact of foreign policy and diplomacy on people’s lives, he came to realize the true significance of equitable policy-making in building a healthy civil society. The culmination of Cédric’s personal and work experience is the subject of his master's thesis at La Sorbonne: U.S. soft power diplomacy in France and the positive long-term effects of educational and cultural exchange programs for the human rights agenda. Once Cédric has completed his master’s thesis, he will commit himself to working at the policy-making level to promote a soft power approach in international relations to the human rights issues of education, health and political inclusion. He continues to be inspired by the words of the French poet, philosopher and political activist Aimé Césaire: "Identity means having roots, but it is also a transition; a transition towards the universal." "I began to see the critical importance of proactive citizenship in moving forward inclusive dialogue and deterring stereotypes."